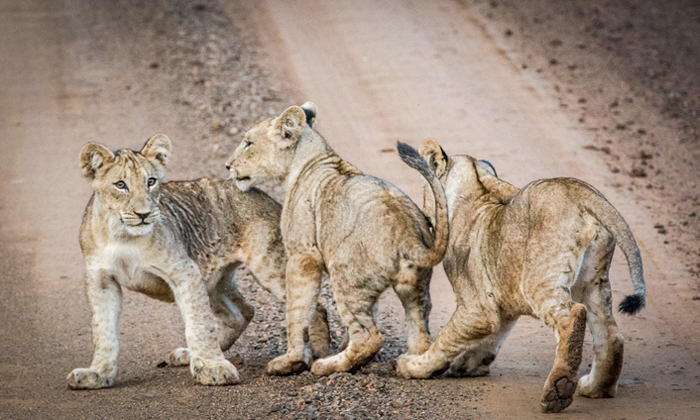 Ranging from ...: What's cuter than a lion cub? 5 lion cubs! 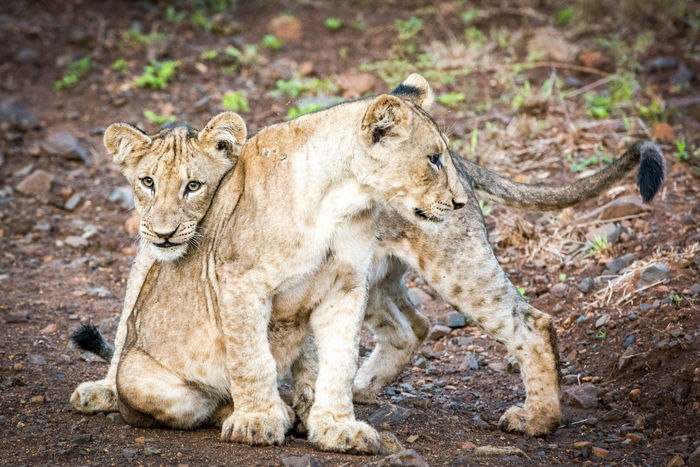 Guests at Rhino River Lodge were recently treated to the most adorable sighting of five cubs and two lionesses in the Zululand Rhino Reserve. 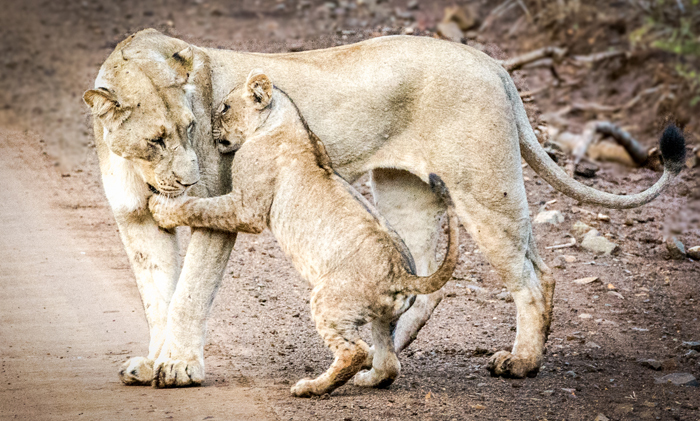 The reserve has a small population of 13 lions, making a sighting like this not only incredibly cute but also quite rare and special. Claire was one of the guests who were lucky enough to experience and photograph this special sighting. This is what she had to say about it: “My partner, Wes, and I arrived at Rhino River Lodge on the Friday afternoon but were too late for the afternoon game drive and had to wait until the morning for the next one. I remember saying to Wes that if we missed any spectacular sightings I would be devastated. Little did we know that the reserve had its own special treats waiting in store for us. To say we were extremely eager to get out into the Zululand Rhino Reserve the next morning is an understatement. Meandering across the river bed and out into the bush, it was hard to believe that just the day before, at that very time, I had been fighting my way through Durban traffic. It never ceases to amaze me how one can drive for a mere few hours out of the city and suddenly be surrounded by pristine wilderness. I had three things on my list that I hoped to see: lions, rhinos and the elusive wild dogs. So, as we set out that day I kept my eyes peeled for anything that looked like a cat, a giant rock, or a spotty dog. What began as a somewhat slow start to the morning game drive, quickly escalated when our ranger, Ryan, spotted the first animal on my list. Lions! I could hardly believe my eyes. 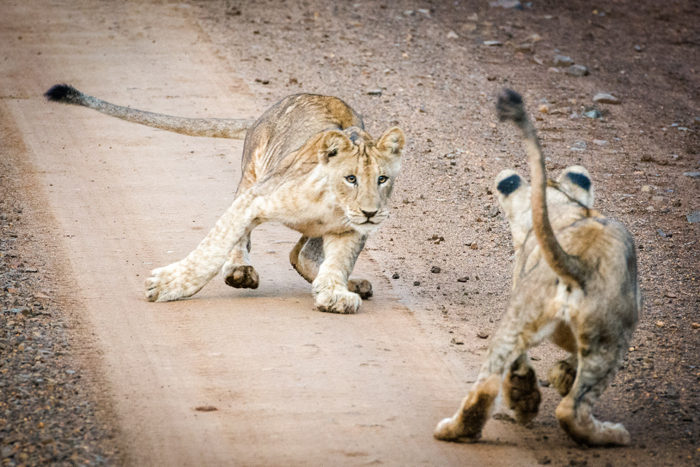 Wes and I turned to each other and grinned as just a few metres to our left, lying on the side of the road, were five lion cubs and two lionesses. Everyone in the vehicle squeaked with delight, yanked out their cameras and began frantically clicking away. 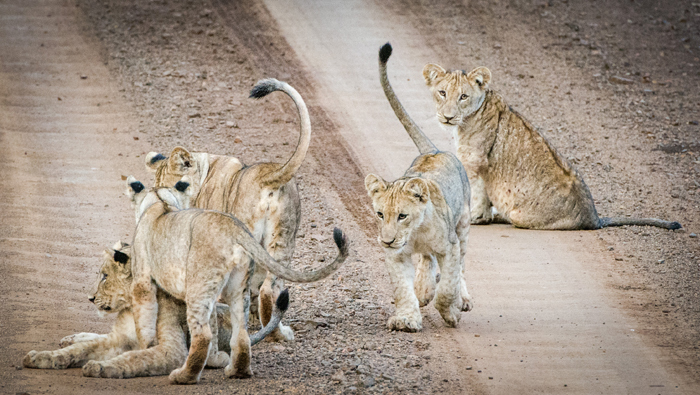 There was no need to rush though as the cubs seemed just as curious about us and proceeded to march right onto the road in front of the vehicle, as if to pose. 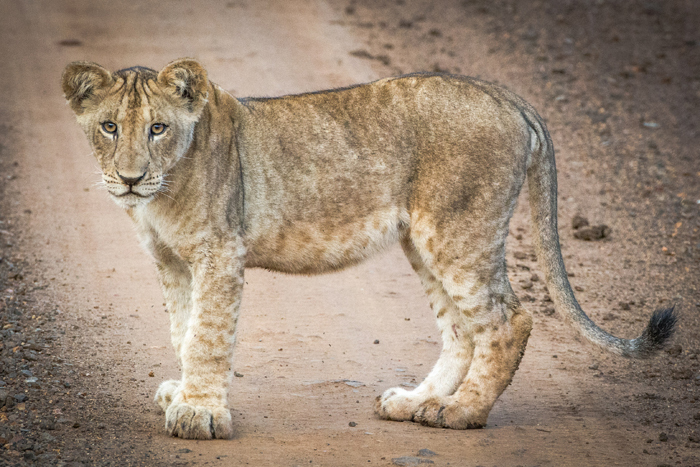 While Ryan quietly radioed the other rangers to alert them to the sighting, the cubs delighted us with their lion antics, much to one of the lioness’ disgust, who by now had walked off on the other side of the road and was waiting patiently for the cubs to finish performing. We could see from the lion’s visibly distended bellies that they’d just enjoyed quite a sizeable meal but that didn’t stop the cubs from fighting, playing and pouncing around the place. 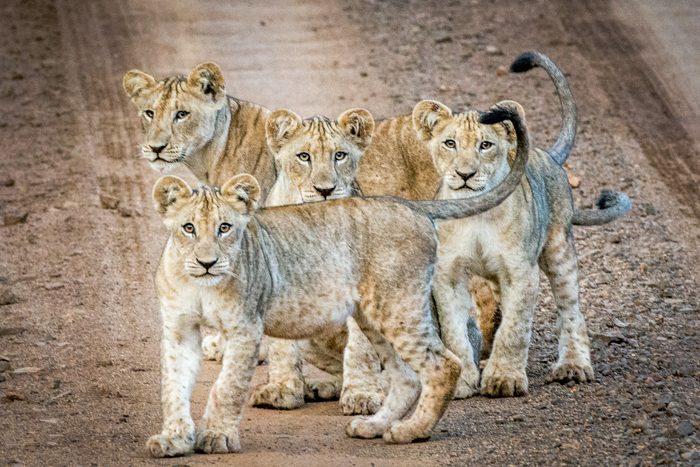 At just six months old, the little lions had been under strict supervision from their mothers up until now and were only just starting to gain a bit of confidence and curiosity.